A chance discovery was made during the initial restoration in 1990 when a star dressing room was opened after 60 years of being sealed. Lora Lynn Snow and the group of volunteers she led found three artifacts: a gas electric light (the original plans for the opera house called for use of the “most modern of gas-electric lights throughout the building”); a poster from the 1909 musical production of The Isle of Spice; and threadbare carpet. The fibers of the carpet were worn and just the backing remained. 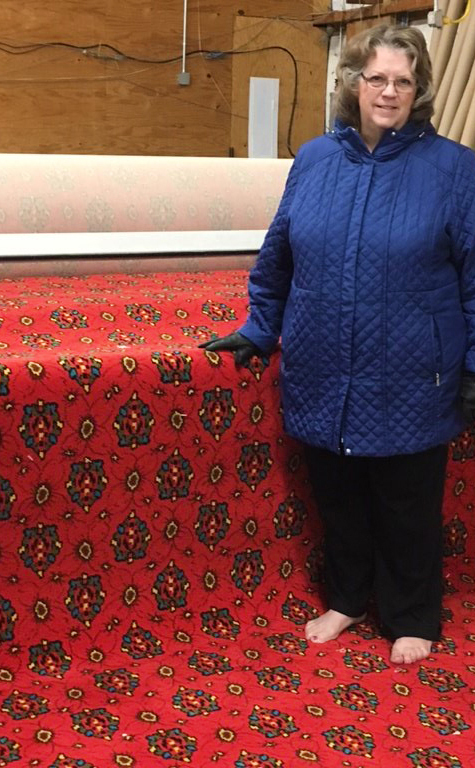 When this backing was pulled up, it was discovered that the excess had not been trimmed but was folded under – and this single strip of hidden carpet showed portions of a pattern and the colors were brilliant! Six vibrant colors consisting of yellow, black, green, blue, red, and maroon. With serendipity at play, it was found that the background red of the carpet perfectly matched the recently ordered stage drapery and seat fabric! In 2016 the Ariel-Ann Carson Dater Performing Arts Centre was awarded a construction grant for several projects with the most pressing being the replacement of the 29 year old carpeting on the main floor. Lora had been in touch with internationally known carpet expert and historian Mark Thomann, a contact made possible by membership in the League of Historic American Theatres, who was helping to select a pattern that would complement the historic Ariel Opera House. 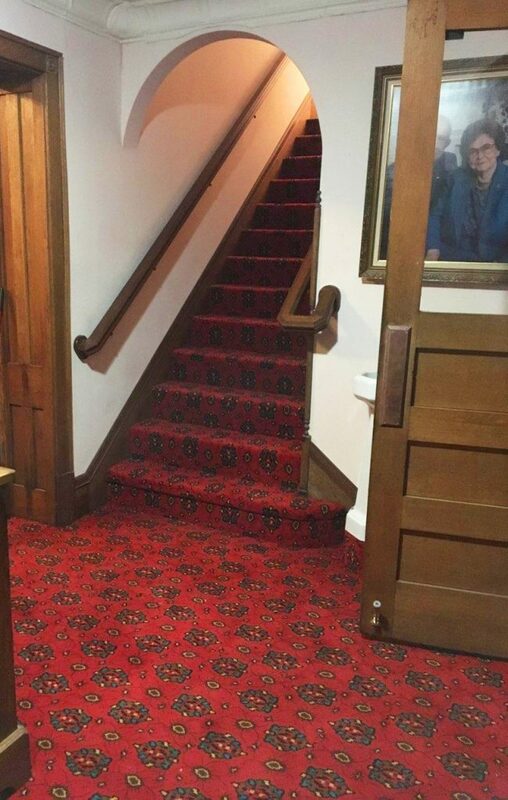 After receiving numerous carpet samples from various manufacturers – none being “quite right” – Lora and Kate Jacobs-Coldren, of Poplar Ridge Design, ltd., decided to try to have the original carpet replicated. 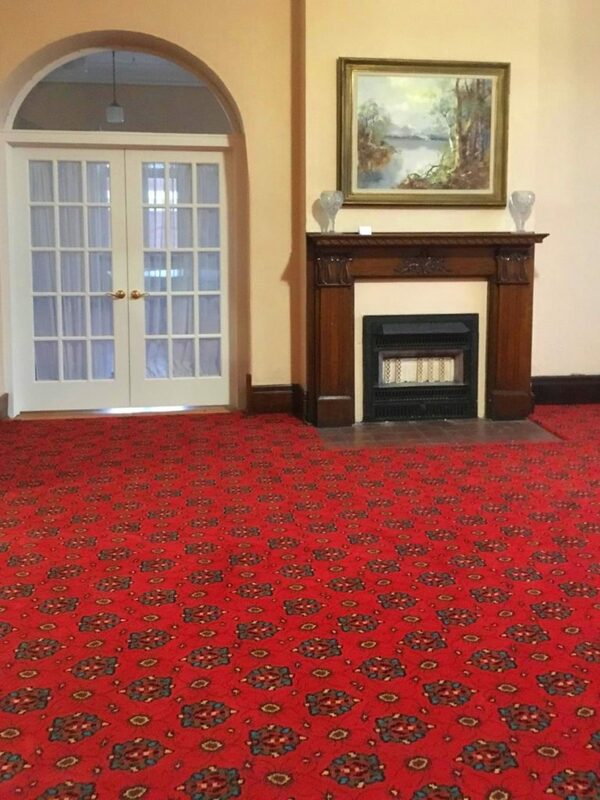 Mark was able to identify the style of the original carpet as late 19th century Axminster woven on a Wilton 12-stitch loom. 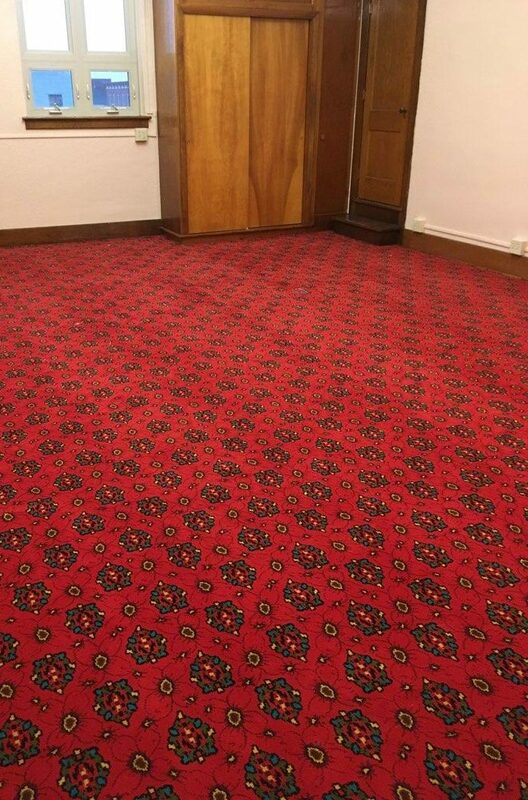 He recommended Bloomsburg Carpet, Inc. in Pennsylvania to weave the reproduction carpeting. 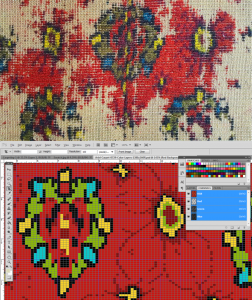 Kate scanned the small piece of carpet and then set about digitally recreating the pattern from the bits and pieces of pattern that remained. Working with the production lead at Bloomsburg Carpet, Kate was able to finalize the production design and the file was provided to start the manufacturing process. With wool from England the authentic reproduction carpet was completed. Installation was done by Haffelt’s Mill Outlet, Inc. of Gallipolis. The Ariel Board of Directors gives many thanks to Ohio Speaker of the House Ryan Smith for helping to secure a grant from the Ohio Facilities Construction Commission for this carpet restoration project as well as wainscoting and railing to the balcony, the addition of balcony hand rails, second floor restroom facilities, a new state-of-the-art conference room, Box Office point-of -sale equipment, and new energy saving and environmentally friendly LED lighting throughout the facility. It’s been a busy two years and installation of the authentic reproduction of the original Ariel Opera House carpeting has brought us full circle to the grandeur of opening day December 25, 1895.